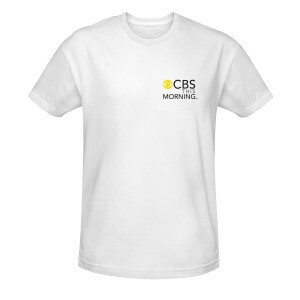 Say you’re in the know that the news is back in the morning with the CBS This Morning Logo T-Shirt. Make it known with the 100% cotton CBS This Morning Logo T-Shirt - your appreciation for CBS This Morning. 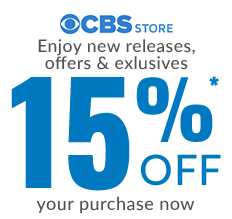 i am a huge fan of cbs this morning, i wake up every mornnig and watch the show i love norah o' donell, gayle king, john dickerson i love the headlines the news i especially love nanacy cordes also margaret brennan, major garret and chip reid also lesley stahl my favorite host of cbs this morning is norah o' donell i have breakfast in the mornings and listen to the morning news with the gang i especially love nancy cordes congressional correspondent on capitol hill i think she's very awesome and very pretty and i think norah o' donell's very pretty i love the t-shirt and to the gang at the show cbs this morning and to nancy cordes, margaret brennan, major garret, and most of all lesley stahl "i love you!"